f there is an ultimate insult used to describe any online article or blog post, it’s to call it boring. In many cases, that boredom stems from articles that are just too long. This is the Internet age, also known as the Short Attention Span Era. If you want to have your texts read and acted upon, you have to be short, sweet, and to the point. 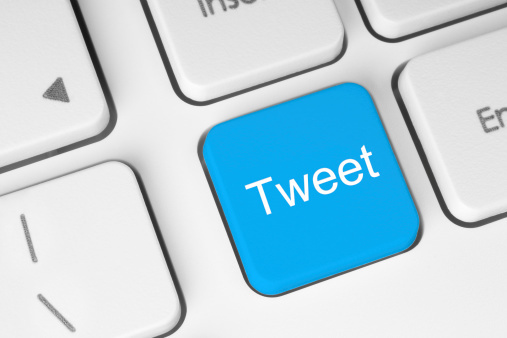 Let’s take a look at how you can make those 160 characters matter most. Ever wonder where that figure came from? According to article “SMS Marketing And the Power Of 160 Characters”, a communications researcher back in 1985 discovered that the typical question or sentence usually clocked in at under 160 characters. Later, when he was in a position of authority, he pushed for those 160 characters as the standard for SMS. Even Twitter’s 140 character limit conforms to this standard, since there are 20 extra characters used for the sender’s user name. According to Juniper Research, most SMS messages are acted upon within 20 minutes of receipt. That means the recipient should have a clear and easy means to act on your text message. Consider placing the call to action at the beginning, right off the bat. Don’t simply call out features; instead, tell the potential customer how this product or service will make their lives better. One particular text message formula advises starting out by identifying the deal/product/service, followed by what this means to the recipient, then the call to action. Yes, that contradicts the first point somewhat, but just like resumes, there is no one ultimate way of writing a good text message. Sometimes that call to action belongs at the start, other times at the end. If the message you’re trying to put forward is simply too amazing or involved to leave as a 160 character text, then write a blog post or article and use the text message to link to it. Or perhaps embed a link that just takes the reader to your site, where they can poke around and hopefully become a customer based on what they see. But beware of making the recipient click too much. It’s easy enough in regular writing to fall into the trap of leaving out information because you assume the reader will already know what you’re talking about. Now shrink that normal writing assignment down to a 160-character message, and the opportunity for confusion skyrockets. Be very careful with abbreviations; you don’t want to give people the wrong idea. Make sure abbreviations have enough letters so as not to be ambiguous. You don’t want people to think that Str Wrs Spl Lttrbx means that your DVD selling website is offering people a “Star Wars Spilled Litterbox”, instead of “Star Wars Special Letterbox”. If you can make your point in fewer than 160 characters, then go for it! Don’t worry about coming across as cold or abrupt; this is a text message, not a greeting card. People will understand and even appreciate a short shout-out. Text messages are a great way of reaching a large audience with little effort. Adopt some good writing habits such as the ones listed here, and you’ll be an old pro at it in no time.